Ask most students as to what they loathe and hate the most, you will perhaps have eight out of ten students giving the same answer. They will sing one uniform song which will point to the boredom, monotony, and drudgery associated with homework. Hence in this technically advanced world, it is quite common for many students to find out ways and means by which technology can be used to make the task of doing homework simpler and easier. We will now have a look at five homework apps for students which we are sure will help them breathe easily given the fact that home tasks today are extremely demanding, to say the least. Finding the right formula without any doubt is a major problem for many students. However, once a student has iFormulas available in the form of an app, it certainly will make the task of identifying the right formula for your Algebra, Calculus, Chemistry, Geometry or Trigonometry class that much simpler and easier. It comes with a number of features which includes a setting of reminders so that as a student you remember the date and time on which assignments have to be completed. The sign that this app is something really helpful is that it has over 500,000 downloads. This is another user-friendly application which can be easily downloaded. It allows easy and quick usage of all the assignments and also gives regular reminders about upcoming examinations and tests. 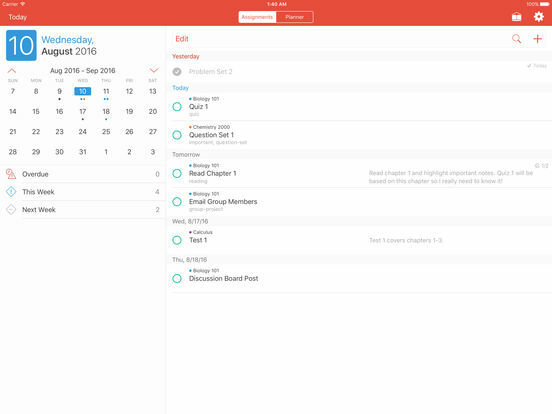 It has a unique feature called timetable exchange. This is nothing but a method by which it is possible for you to coordinate your study and fellow friends and students. It is very competitively priced and can be used with iPhone and iPad (available only for iOS ). It would be wrong to assume that iHomework2 will do the homework on behalf of the students. 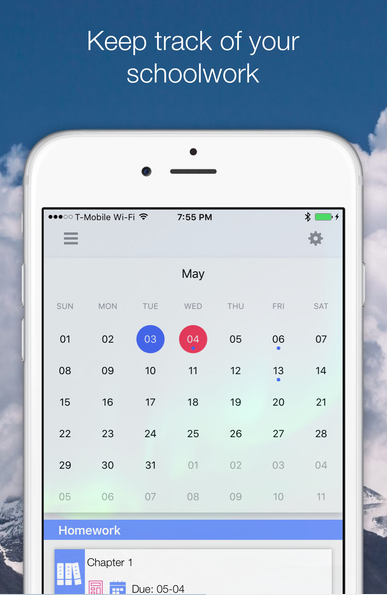 It would rather help students to become more organized and towards this objective, it has a wonderful calendar function. It is very handy, user-friendly and it allows the students to enter different variable like homework assignments, study session, class timings and other such things. It also helps students to set a reminder for each subject making it easy to follow up on the assignments which they do in their homes. 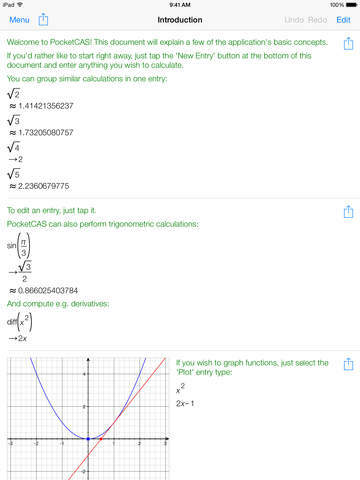 This is yet another useful and user-friendly graphing calculator which is suitable for Apple Devices. It would be interesting especially for those who are familiar with Texas Instruments. It has 2D plots, 3D Plots, calculus, and many other facilities. It well and truly is useful for math and science students. The updated version of iMathematics has it all - daily training sessions, gamification experience, comprehensive explanations of over 120 topics, over 2, 000 quizzes, calculators and tools for solving various math problems. There is also an Apple Watch version that makes it possible to look for formulas on the go. 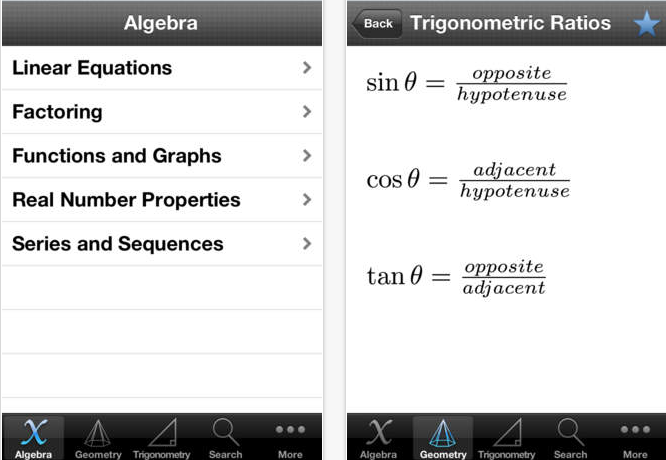 This app is an ideal choice for students who want to have fun solving math problems and improve their skills. 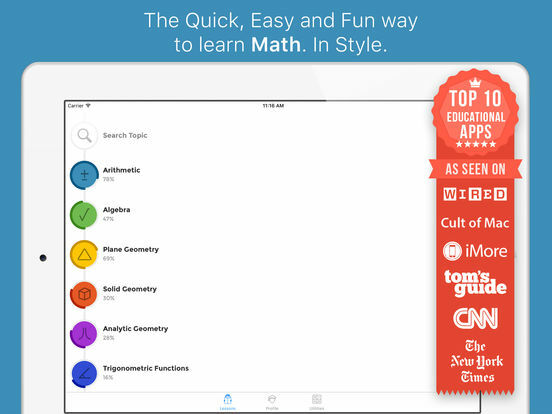 If you've never thought that math can actually be fun, this app will change your mind.